A reminder of the Keweenaw Peninsula’s mining history towers over its two biggest cities: Hancock and Houghton. High on a hill north of both downtowns, you can easily spot the Quincy Mine. This relic of the past is now a major part of the Keweenaw National Historic Park, and it’s still very much alive today. No, it doesn’t pull copper from the ground, but it does help educate visitors about the metal and the miners that built this area. From Hancock/Houghton, take US 41 north. Once you climb the hill out of town, the Quincy Mine will be on the right. I had driven by the Quincy Mine several times, on my way up and down the Keweenaw Peninsula, but I didn’t actually stop here until the end of Day Six of the trip, and my final night in Hancock. 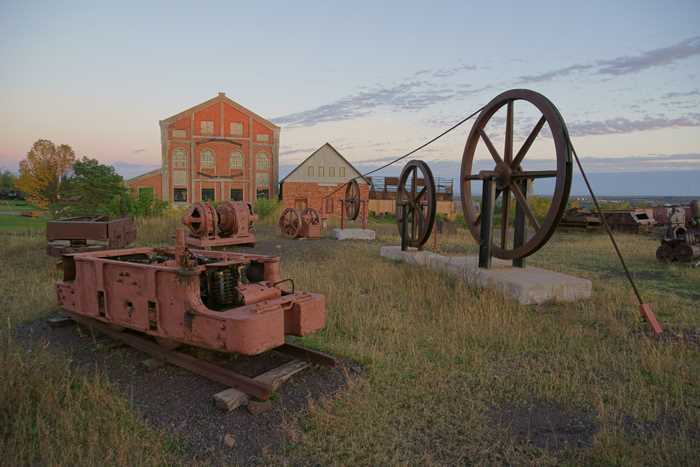 I was looking for a good place to take a few pictures of the sunset, and I thought the old mining buildings would look beautiful at this time of day. And of course, they did. The only problem is, I really should have devoted more time to the Quincy Mine. The operation is kept alive by the Quincy Mine Hoist Association, working in partnership with the National Park Service. There’s quite a bit to do here, if you visit during the day. By the time I arrived, it was too late to do anything more than simply explore the grounds, and watch the sunset. 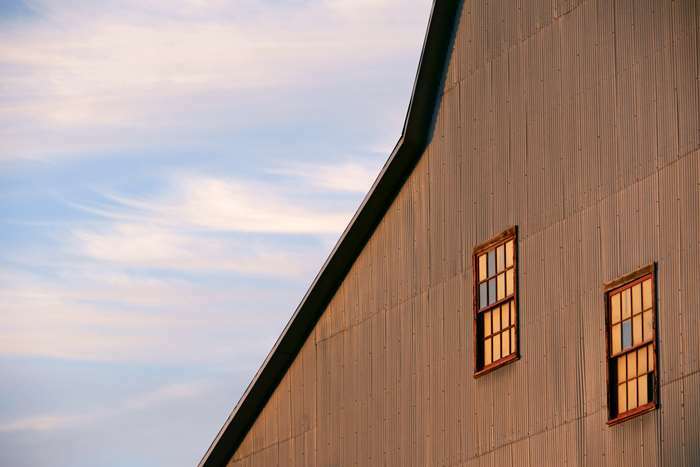 The Quincy Mine is open to visitors from late April through late October. You can choose to take a tour of the surface, tour the surface and ride the tram, or take the full tour which includes going underground into the mine. The highest-priced ticket is $25, as of the 2018 season. The Quincy Mine operation includes a cog railway (the tram) which takes you down the hill towards Hancock, ending at an adit (a horizontal entrance into the side of a mountain that provides access to a vertical mine shaft). By entering here, you get to see the seventh level of the mine. It’s the deepest level of the mine that hasn’t been flooded by ground water. At one time, though, the mine had the world’s longest mine shaft, at 9,260 feet (that’s almost two miles long!). The shaft traveled at an angle, making the vertical depth 6,200 feet. In order to lift ore up a shaft that deep, a very big engine was needed. 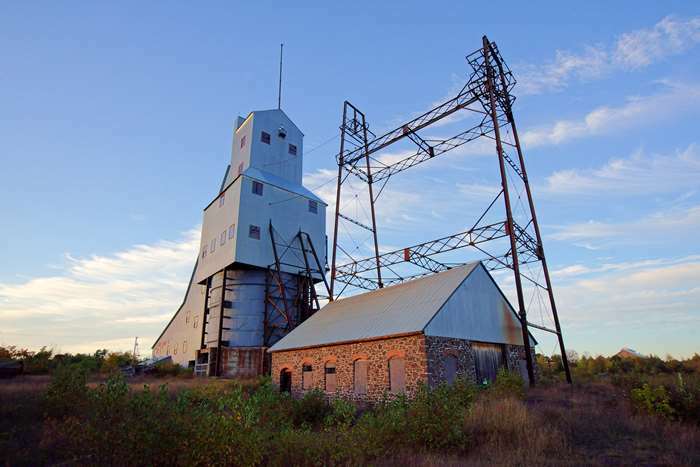 In 1918, the mine built the world’s largest steam-driven mine hoist. They put it inside an ornate concrete building that, by itself, was also an impressive engineering feat. It had the largest concrete slab ever poured, and the size of the reinforced concrete building was very rare for that time period. That’s the Quincy Mine Hoist House, in the distance, next to a smaller building that previously housed a smaller hoist. The big building you see at the top of the page is the Number Two Shaft Rockhouse. The upper end of the cog railway is on the other side of those buildings. The Quincy Mine began operations in 1846, and shut down in 1931. It restarted during World War II, then shut down again in 1945 when the government stopped subsidizing the price of copper. But, for those good years, production was so good at the mine that it became known as “Old Reliable”. Next time I’m in this area, I’ll take the full tour and learn much more about the history of the mine. 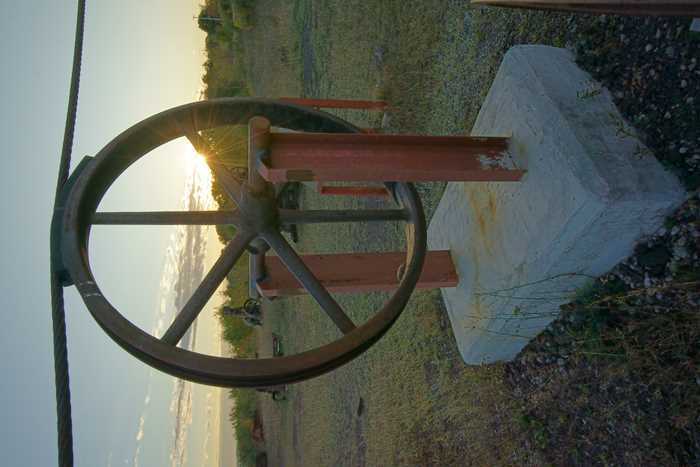 On this visit, I had to be satisfied to wander around the old equipment that’s scattered around the grounds, and take a few pictures of the sunset. It really was a beautiful evening. I’d highly suggest you find the time to take a tour of the Quincy Mine, including the cog railway and the underground tour. It all looks very interesting. And if you can’t squeeze it into your schedule, at least stop and wander the grounds for a few minutes, to get some idea of how the operation worked.